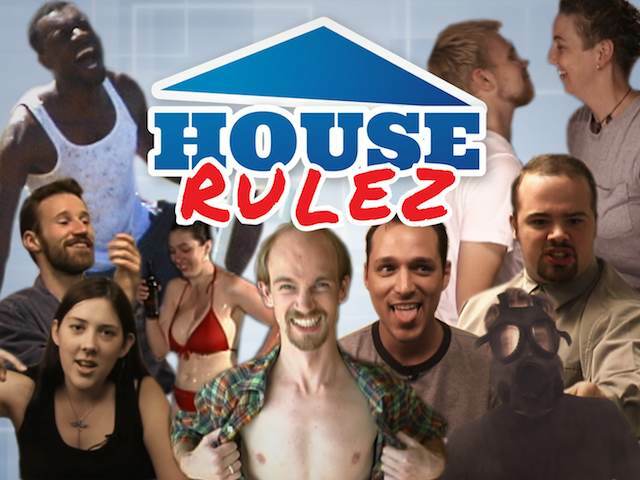 House Rulez is Back From the Dead! SEATTLE, WA – A project many of us thought long dead (and secretly hoping it would stay dead) has found new life: House Rulez. Well the Statute of Limitations has now expired and we’re getting ready to release it very very soon. The issue is, we need to finish the editing and finishing touches. So what the heck is this project anyway? House Rulez is Dead Gentlemen’s first (and doomed) foray into the world of reality television. In this episodic exploration, DG probes deep into the heart of unscripted television, hilariously exposing not only the quirks and foibles of the cast, but also using hidden cameras to covertly spy on the show’s production team. In a few days we are going to announce a Kickstarter campaign to fund the last bit of editing. We’re of course partnering with Zombie Orpheus Entertainment to shepherd this project to the finish line (and frankly reduce our liability, heh). We have also hired professional editors with extensive experience doing reality television. Alex Perrault brings the benefit of 20 years of expertise as an Emmy-nominated editor who worked in film, broadcast, DRTV, and web. His long experience in documentary and reality film making, and past with networks like PBS, Discovery, A&E, TLC, and National Geographic, allow him to bring a very modern sensibility to all his projects. Graphics, sound, and sweetening will be by Jaya Productions. They started in 2001, working on DRTV campaigns, and eventually grew into the Reality TV space, working on many hit shows that aired on networks like A&E and History. In recent years they’ve grown into web and corporate video with work for Amazon, Real Networks, US Dept of Energy, King County, Microsoft, and the Bill and Melinda Gates Foundation. They specialize in creative storytelling through effective editing and motion graphics. The DVDs generated by this Kickstarter campaign will never be available again. Once they’re gone, that’s it. So please, watch for the official launch. We will be continuing to talk about it every day leading up to the day we launch, which is still officially TBD. The Kickstarter will be a short campaign with a lower funding goal. We really just need to fund the finishing post production. Stretch goals may include extra professional upgrades to the sound and graphics, and potentially a followup short segment catching up with the show’s participants 12 years later. Woot! Can’t wait to see it.